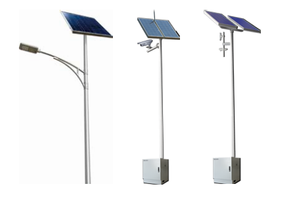 Huawei Solar Hybrid Power Solution is applicable in off-grid and poor-grid areas where peak value sunshine time is more than 3 hours, including Pure Solar Series - S1, Solar & Diesel Series - S2, Solar & Grid (Diesel) Series - S3. It adopts SolarMax technology, which enables maximal use of solar energy for reducing OPEX. The conversion efficiency is up to 98.5%. There is zero carbon emission involved and very little maintenance is required. Conversion efficiency reaching up to 98.5% (tops in the industry). The solar paneling needed is reduced by up to 30%, leading to CAPEX reductions of 10-30%. EPS-D enables flexible balance between CAPEX & OPEX, matching customer budget with improved system reliability (Up to 19 cloudy days can go by without the power failing). Controller and Converter integrate in one cabinet, saving footprint and system cost. Tolerates faults, while a fool-proof design prevents reversals, and redundancy enhances reliability. Huawei Solar Hybrid Power Solution is widely used in many countries, including Zambia, Mali, Nigeria and Botswana, etc., providing efficient green energy for carriers like Airtel、Sotelma、CamGSM、MTN and BTC.